Note 9 has been the talk of the Android town square ever since its release, as it rights all wrongs with the previous editions, namely the battery capacity, and sports what is perhaps the best mobile camera for low-light shots this side of the new iPhone XS and Max shooters. What could make a great hardware even better? Great software, of course, and Samsung is on track to deliver its groundbreaking Experience UI 10 update to its best phone yet very soon. The new Experience overlay is arriving with Android 9.0 Pie and is unlike anything we've seen so far by Samsung. It already got previewed as a pre-release firmware on the Galaxy S9+, but now it's time for the Note 9 to stuff its face with Android Pie, and there are plenty of screenshots from the aftermath. The big news - the awesome dark mode or dark theme with transparent toggles and notification shade will be carried over from its smaller siblings. The settings app can be seen on a dark background, too, with white cards on top of it that turn gray in Night mode. In addition, judging from the new Galaxy A7 interface you see a screenshot of on the right, Samsung will update its overlay with the option to do away with the virtual navigation strip completely, replacing it with gestures and indicators for home, back and recent apps. Have a look at all the changes that await the Note 9 when Android 9.0 Pie comes through its stylus silo like Santa Claus from a chimney, but bear in mind that this is still early in the Samsung Experience 10 UI game, as the leaked firmware is not even labeled as a beta yet. Seriously? Samsung just went two generations back from the coherent and beautiful UI right now. Looks like an illegitimate and ugly child of iOS, MIUI 10 and Android Pie. And what's with those ugly rounded corners and blobs everywhere? You were expected to lessen the bloat, not increase it Samsung. I hated the seemingly ugly rounded corners but it's probably due to the curved display. Folks are not happy with anything. You guys should be punished with icons all over with no app drawer like iOS. Lol, just kidding. No app drawer wall to better performance. 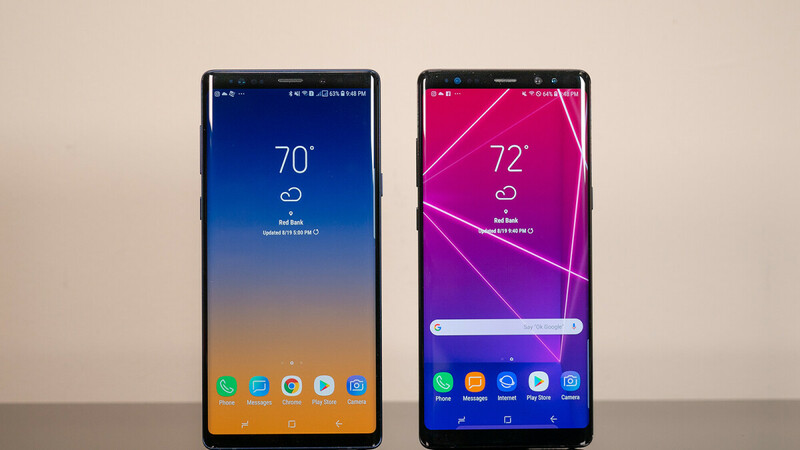 Ugly rounded corners due to forhead desgin of note 9 and S9/ S9 plus. The good thing Samsung start to give an option to uninstall some Samsung apps if you don’t need it including 6 google apps not only disable like other android phones and that a good thing plus iOS it’s not child UI as you think lol. I like the bottom quick toggles. With larger phones UI designers should start shifting controls to the bottom. Googl pixel original swipe gestures lokk better vith back key and "line" home button.